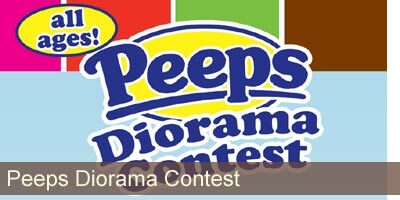 Kids will have a chance to create dioramas on Friday, April 5th and Friday, April 12th during our afternoon MakerSpace for elementary school aged kids, 2:30 - 3:30 pm in the Storytime Room. Bring a shoebox if you have one! Peeps and other craft materials will be supplied. Now you can check out a Fire HD 8 tablet for kids! Access kid-friendly games, books and movies -- thousands of titles are available through the library’s subscription to FreeTime Unlimited. Fire HD 8 tablets are NOT age specific. Like all tablets, items need to be downloaded while connected to WiFi. Children are not able to make purchases or access non-child friendly items. 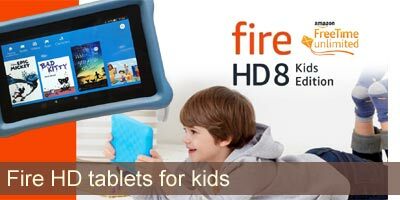 Fire HD tablets check out for 3 weeks. Summer Reading, Storytime, Snapshot Day, our super readers and winners... View pictures of our recent kids' events at the library. 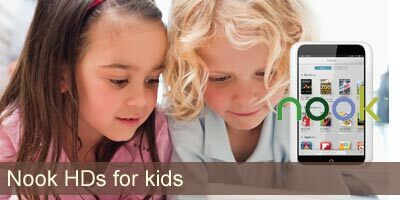 Any time is a great time to introduce a new way of enjoying books to your kids — our preloaded Nook® HDs allow kids to enjoy old and new favorites in a safe and age appropriate manner. 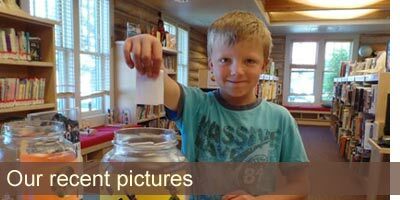 Both the Pinedale and Big Piney libraries have Nook HDs preloaded with dozens of ebooks for preschoolers (most with a "read to me" option), for early readers, and for 3rd graders and up. All Nook HDs come with parental controls and do not access the Internet or games — they are just for reading. Just power up and go! Nook HDs check out for 3 weeks. Parents of preschoolers, you can now sign up for a new, free texting service that delivers fun facts and easy tips to your phone. 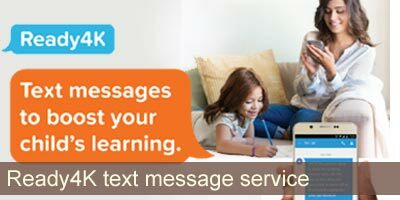 Called Ready4K, the texting service shows parents how to boost children’s learning and get them ready for kindergarten. In the last year, the University of Wyoming's Literacy Research Center and Clinic teamed up with Stanford University to develop and research Ready4K to make this service available in Wyoming. Research shows that receiving these helpful texts can significantly increase children’s learning. Parents and caregivers with children, ages 3 to 5, are invited to sign up for the free service, which provides three texts per week. The service is available in English and Spanish. Baby and Me (ages 0-24 months) is held every Wednesday at 10:30 am. Preschool Storytimeis held every Wednesday at 11 am in the Storytime Room. Siblings are welcome. May 8th: Happy Mother's Day! May 15th: Annual Storytime Party at the Town Park! This will be our end of Storytime party. We'll have bubbles, a parachute, and a space book to kick off Summer Reading. We'll give certificates and medals to all the kiddos headed to Kindergarten! In the event of inclement weather, we will relocate to the library's Lovatt Room. There will be no Baby & Me on this day. Elementary school kids in grades K-5, join us every Friday in the Storytime Room from 2:30 to 3:30 pm to get creative with a variety of DIY projects and exploration. A healthy snack will be available. The last day of MakerSpace will be April 26th. Stay tuned for news about our exciting Summer Reading Program MakerSpaces coming in June! Reading to preschoolers is beneficial for their brain development and academic success. It is correlated with improved attention spans and better concentration. Early reading also ignites the child's creativity and imagination, teaches them sight words and expands vocabulary. The 1000 Books program is designed be a fun approach to establishing strong early literacy skills. Parents, you can choose between a sticker log to simply keep track of the number of books read, or a book list log so you can have a record of what books the kids have read. You do not need to turn anything in, but the kids will get to have their photo on our 1000 Books Before Kindergarten bulletin board when they read 100 books, will receive a sticker for every 100 books, and will receive a book gift to keep when they reach 1000 books. Get started fostering a lifelong love of reading today... stop in to the Children's Room and bring home your book log today.